I talked about my next project in my last post along with that wrinkled pile of scrap fabric that was going to be 2 twin sized quilts for my grandson's bunk beds he'll be moving into sometime soon. Well, I have ironed and cut a lot of fabric and somewhat tamed the pile. After making that last quilt which involved a lot of piecing I wanted something easier and here it is. Just 2 blocks-a nine patch and an hour glass. 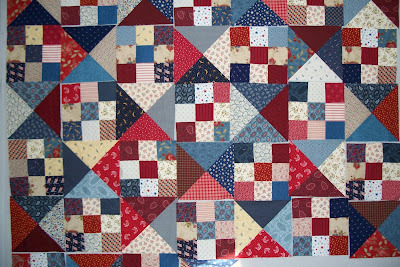 I think this quilt lends itself to many, many scraps which I just happen to have! In the process of cutting and sewing I got to revisit some of my older fabrics including this cute bumblebee fabric. I know it's a Moda fabric but I don't remember where or when I got it. I've got a few Prairie Paisley's, some Alex Anderson prints, and many orphans from past projects. While I enjoyed my last project, which was a kit, I prefer picking out my own fabrics so this is fun for me. So back to the sewing room. I'll surface eventually. The little man will love his quilts, especially since his nya-nya made them special for him! Want to come create something out of the scraps at my house? This is a beautiful scrap quilt. It is nice to be able to use some of those scraps up! I just love scrappy quilts and this one looks great! Those are perfect for boys and bunk beds! A true treasure!! 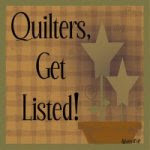 unbelievalbe I can see you were very busy...the quilts look absolutely wonderful!! love that you can see something and just go it...you have given me great plans for my 9patches I had swapped..
Wow! Colorful and comfy. Charming. I love it. Thanks for sharing this one with us. I enjoyed reading about it, too. 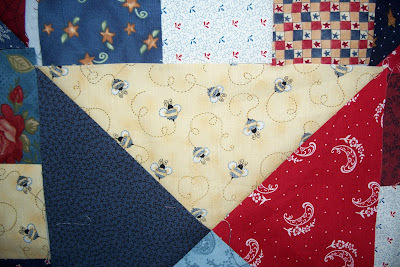 Love those bright happy scrappy quilts! 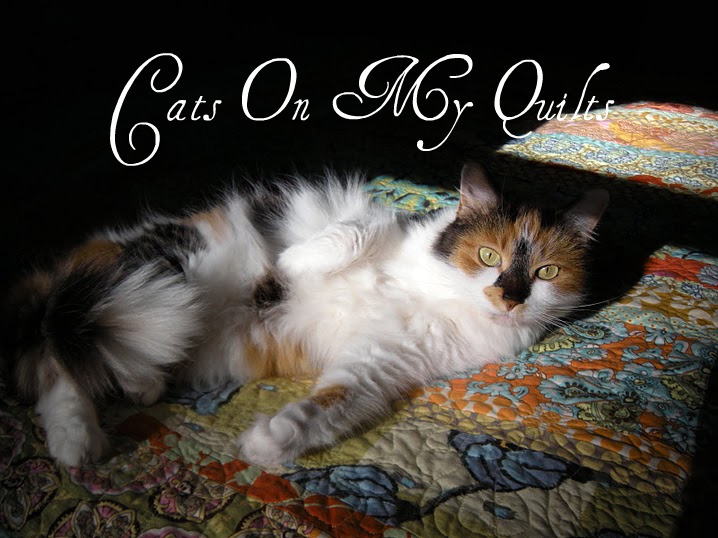 The quilt in your previous post is beautiful, and I love your new banner! Very cute! I almost made that same pattern with my prairie paisley but I decided to do something with just a jelly roll and no extra yardage so that ruled it out.